Why does my pet need to see an internal medicine specialist? Most patients that present for evaluation to internal medicine have complicated ailments that may be difficult to diagnose or treat. Our goal is to help discuss with you your diagnostic options, do everything that we can to get an answer to what is going on, and treat your pet in a way that will provide the best outcome possible. The initial consultation will simply be to discuss your pet’s condition and all options regarding how to proceed. How is my pet going to do during/after treatment? Many patients that have complicated diseases/disorders can respond to treatment in different ways. This means that we often need to initiate treatment, monitor your pet’s responses, and adjust treatment based on what we see. Does my pet have to receive diagnostic testing? We encourage diagnostic testing as it can play an important role in allowing us to make proper medical recommendations and treatment adjustments for your pet. A definitive diagnosis gives us the best likelihood of a successful treatment. If you decide not to pursue diagnostic testing, we can try to treat your pet’s most likely condition(s) without a definitive diagnosis. It is important to understand that if we are treating your pet without a definitive diagnosis it is impossible to predict how they will respond. Can my veterinarian do the follow up treatments? 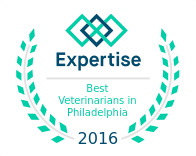 Absolutely, we always work closely with your veterinarian. Many clients travel from a long distance and it is difficult for them to continue to make trips back for recheck blood work, weight evaluations, x-rays, etc. If you are going to follow-up with your veterinarian, we ask that you request diagnostic updates to be faxed to us so that we can continue to monitor them. We will then fax our medical recommendations, based on the information provided, to your veterinarian and (s)he will get in touch with you to discuss any changes to the treatment plan. Can I get the prescription medications from my veterinarian? We would be happy to fax any necessary paperwork to your veterinarian to fill a prescription as long as the medication is in stock and a valid Veterinarian-Client-Patient relationship exists. This means that your pet has seen a particular primary veterinarian for visits and check-ups on a regular basis (typically within one year). Can I get my pet’s prescription medications from a human pharmacy? As long as the recommended medication or a suitable substitute is available as a human prescription, we would be happy to fax a prescription to a local or online pharmacy of your choice. Given that the cost of human medications fluctuates with time and across pharmacies, we recommend that you do some price shopping. The same is true for online prescription purchases. Do I need to fast my pet for the appointment? Generally your pet does not need to be fasted prior to the appointment. If your pet will need to be fasted for specific tests or anesthesia, we will discuss fasting recommendations during the first appointment. If your veterinarian thinks that your pet will need anesthesia the day of the appointment or has recommended fasting, please contact us to discuss options.